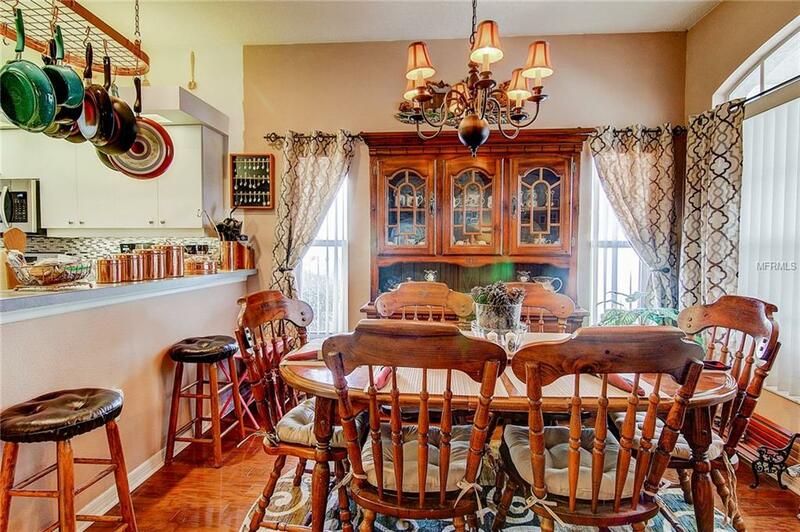 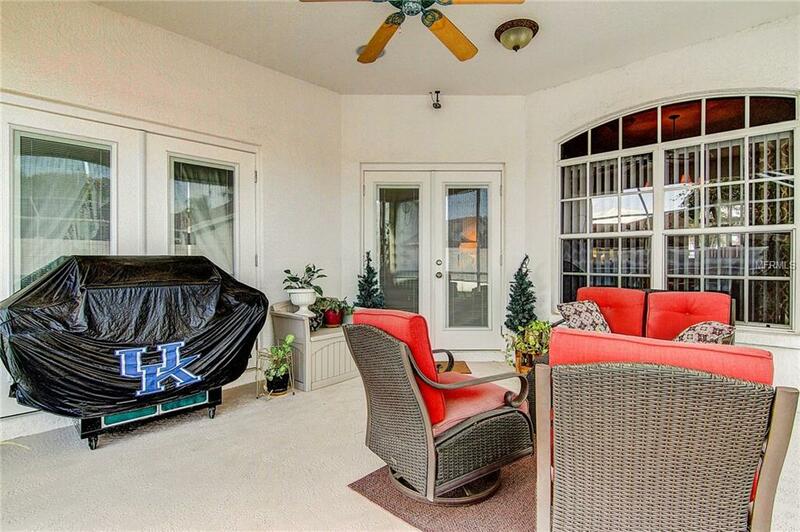 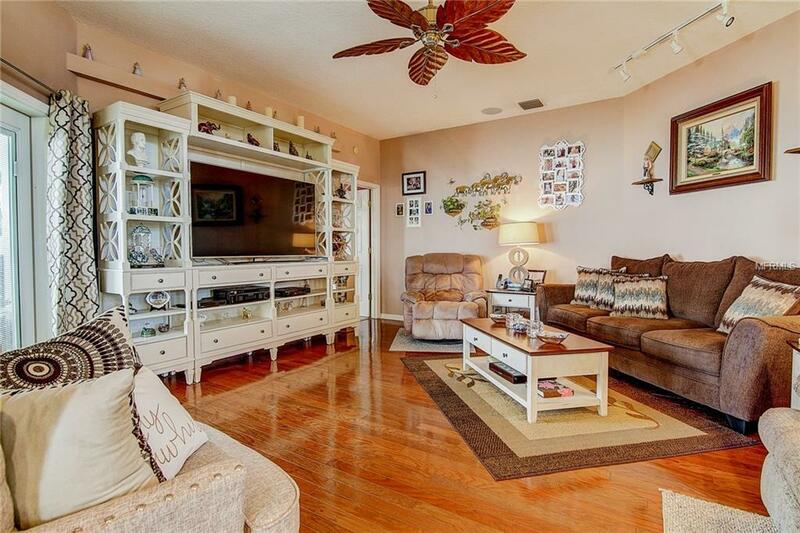 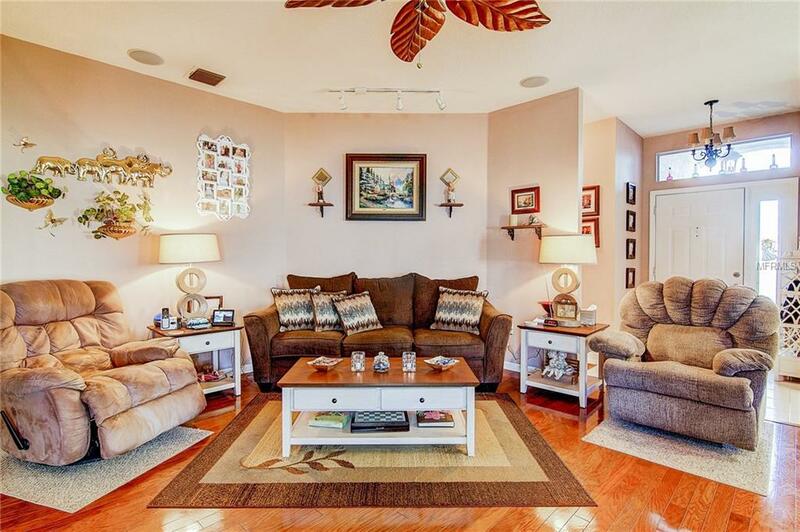 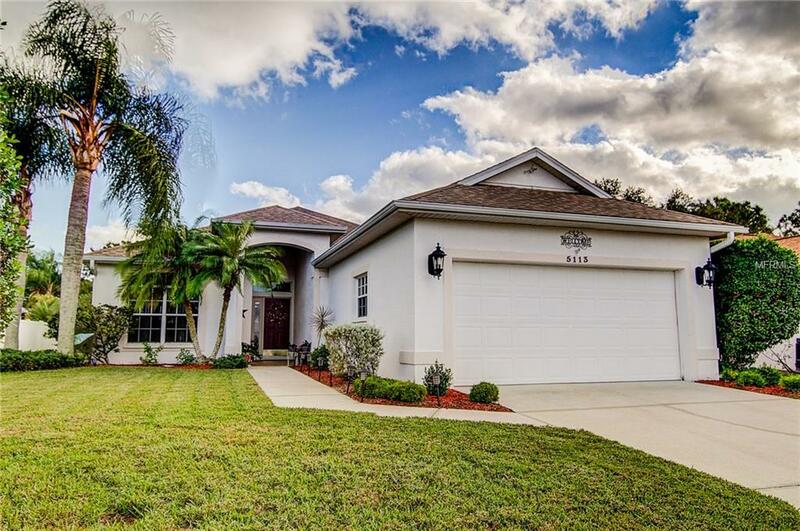 This picture perfect house located in the desirable Creekwood neighborhood will top your must-see list! 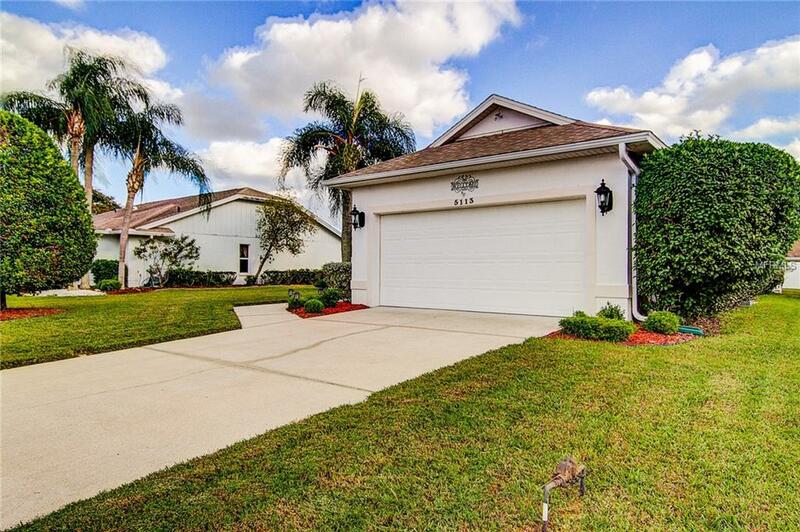 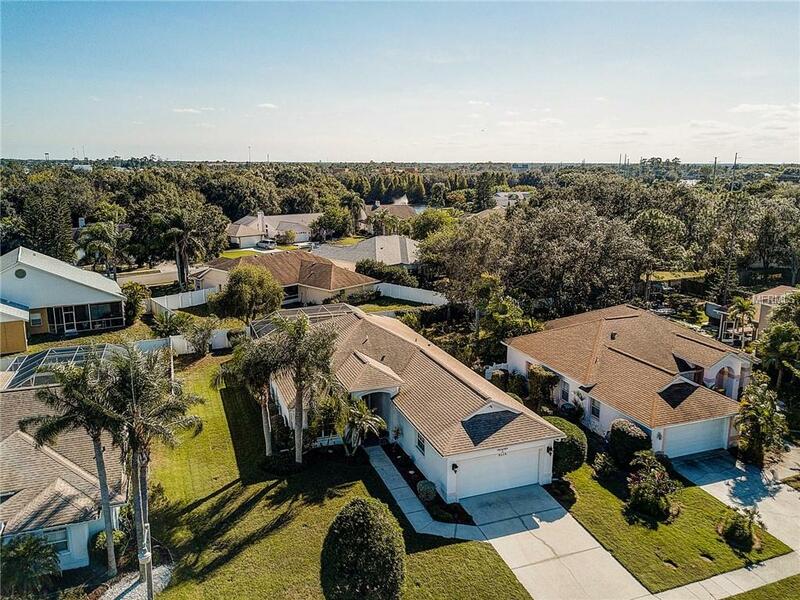 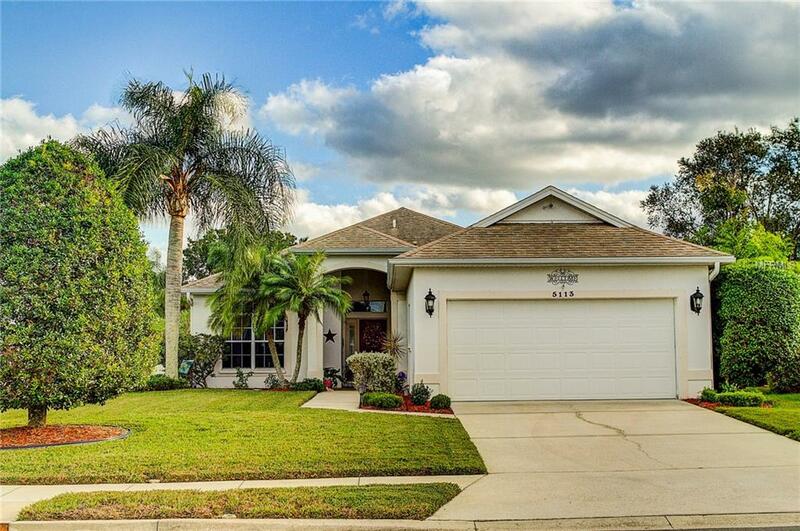 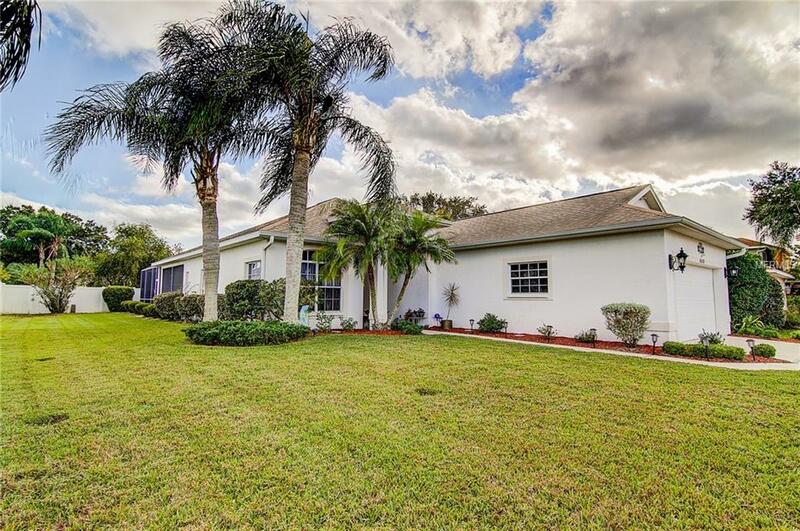 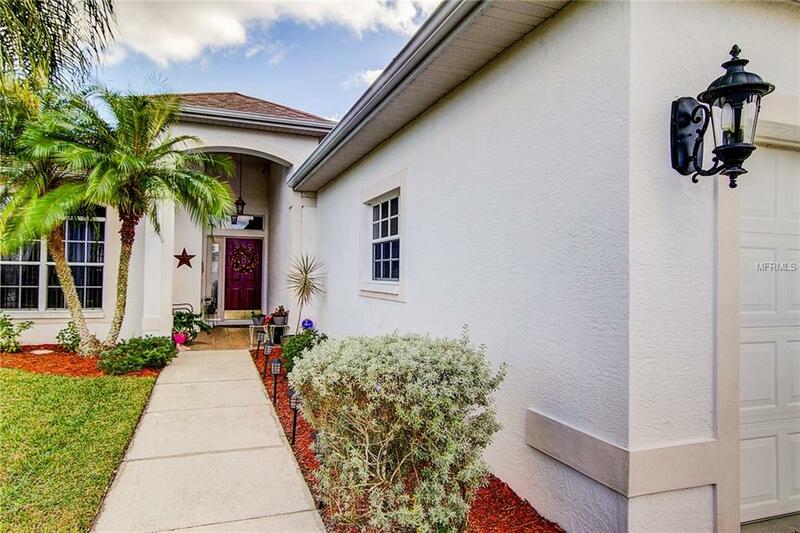 Surrounded by a well manicured lawn with colorful landscaping and mature palms, this home is a treasure even before you open the front door. 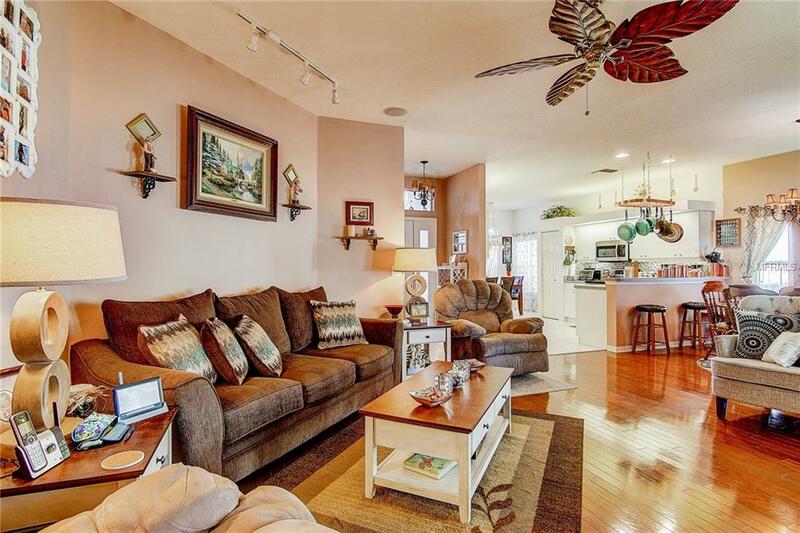 The open floor plan showcases a spacious great room and formal dining room featuring beautiful real hardwood floors and custom light fixtures. 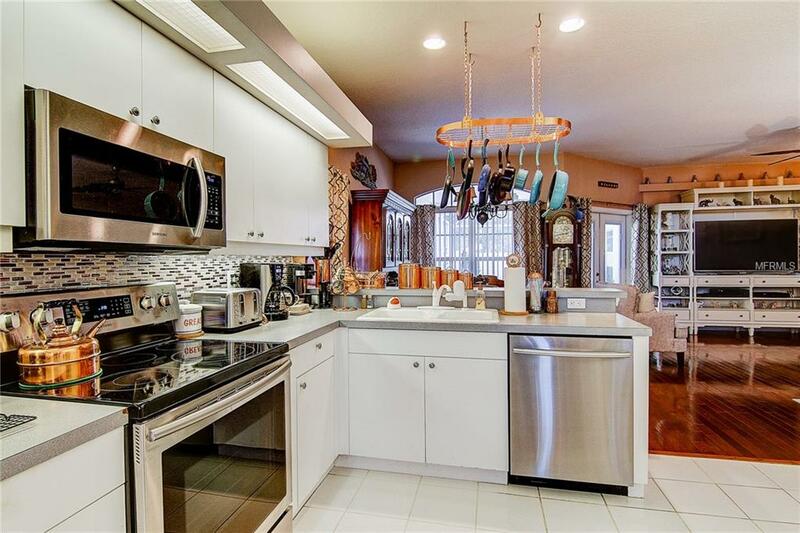 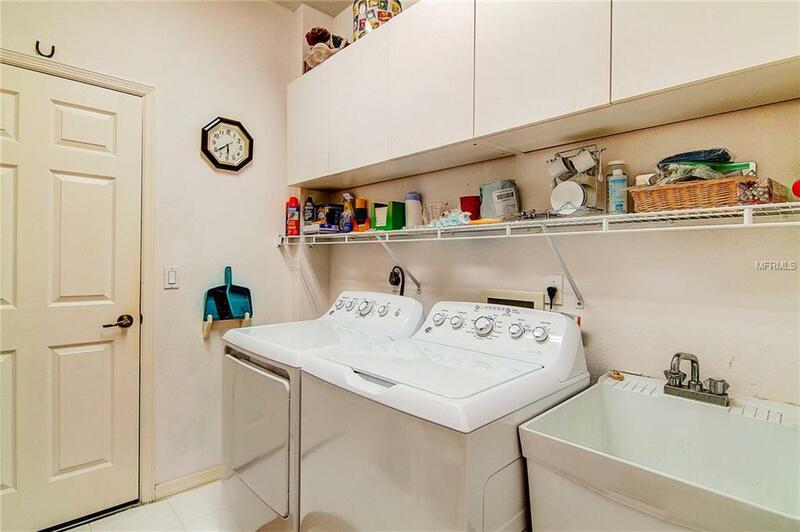 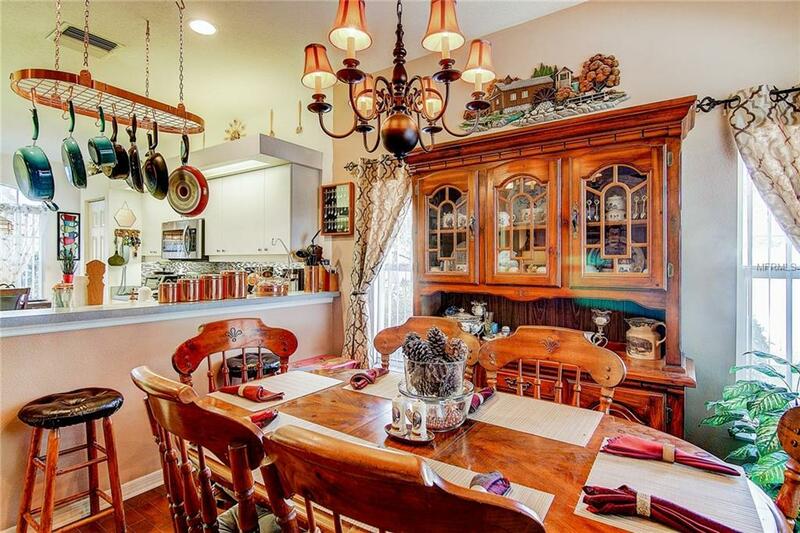 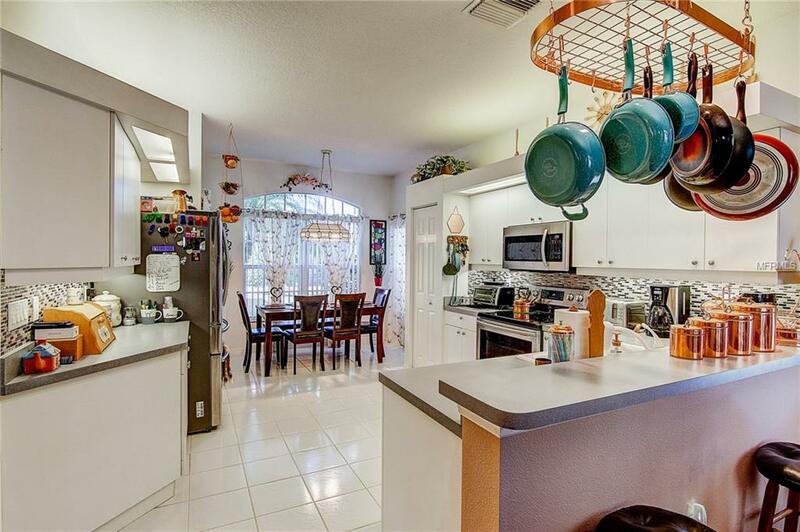 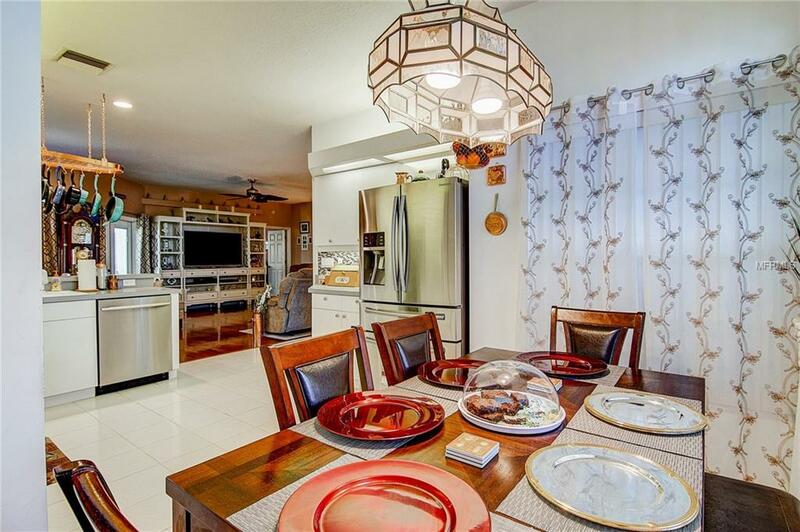 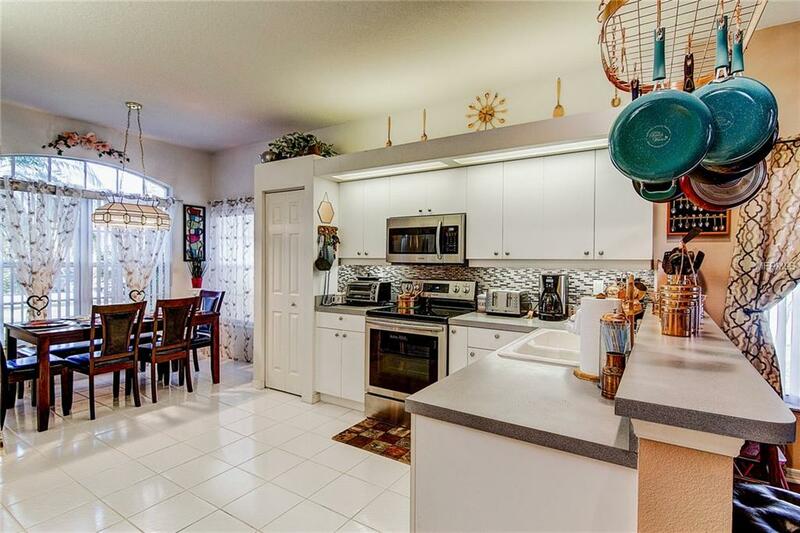 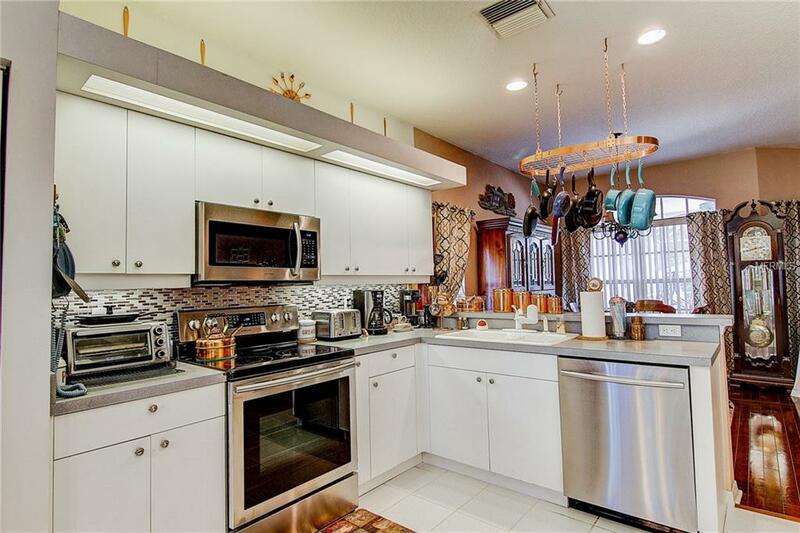 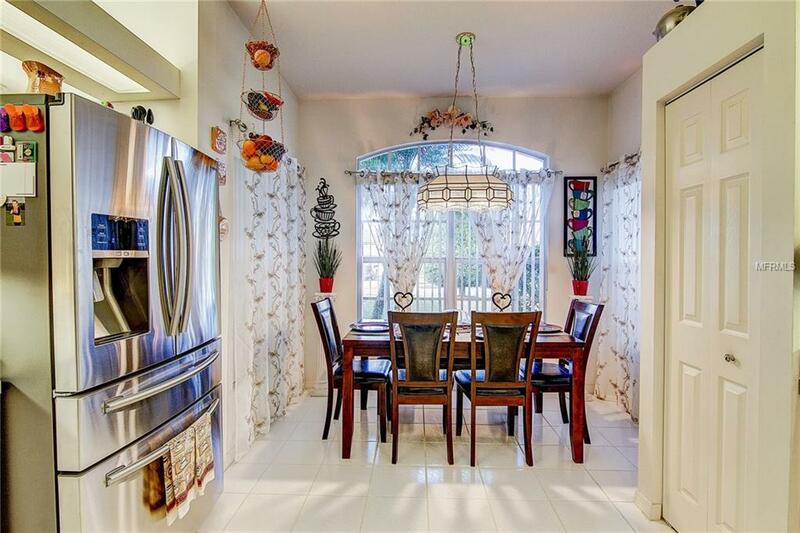 Kitchen highlights include stainless steel appliances, modern tile backsplash, breakfast bar, separate pantry and the sun-filled bonus dining space - An ideal set-up for someone who loves to cook! 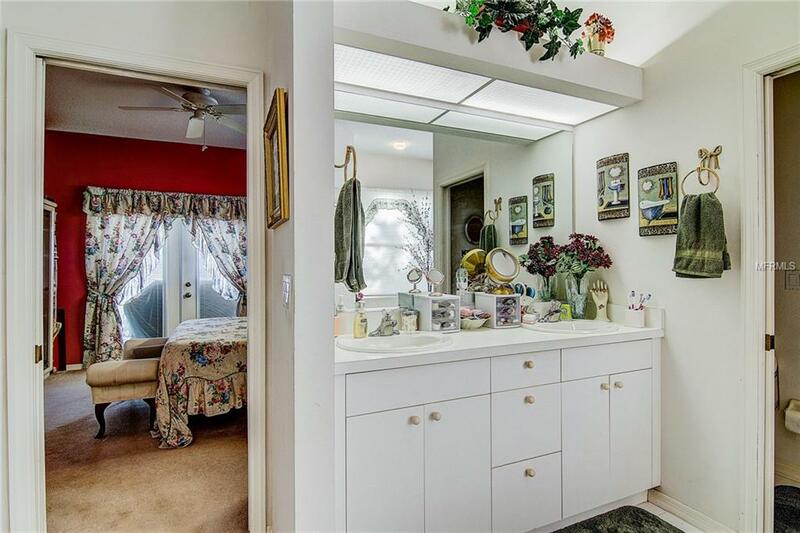 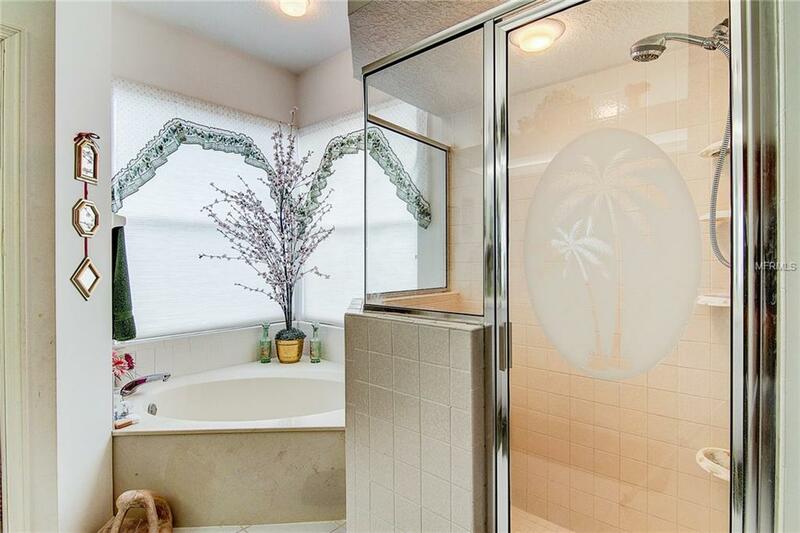 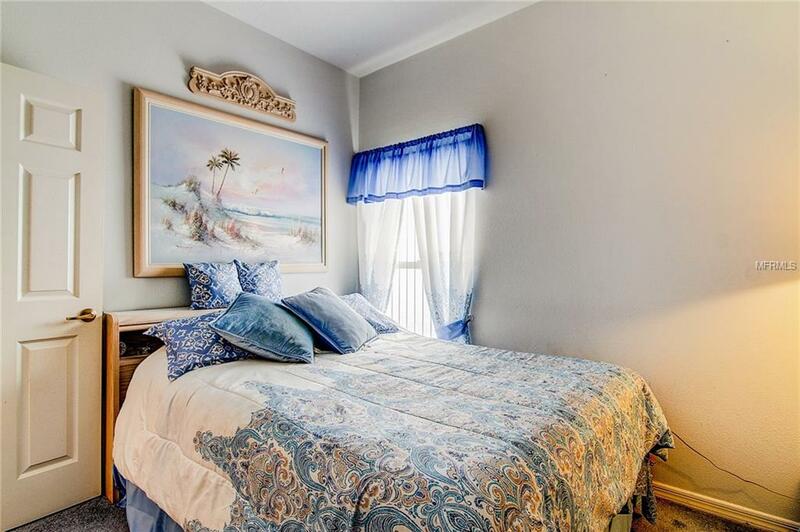 The master suite has direct access to the pool and a huge master bathroom, complete with soaker tub and large separate shower. 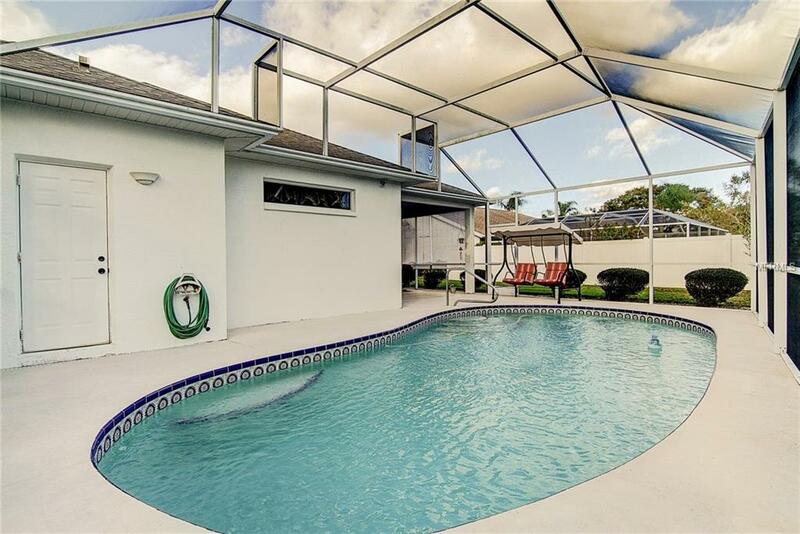 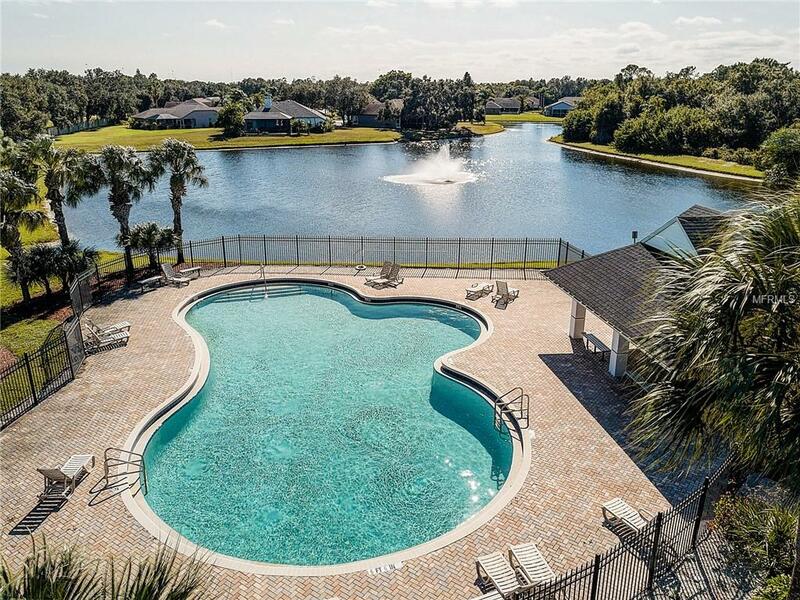 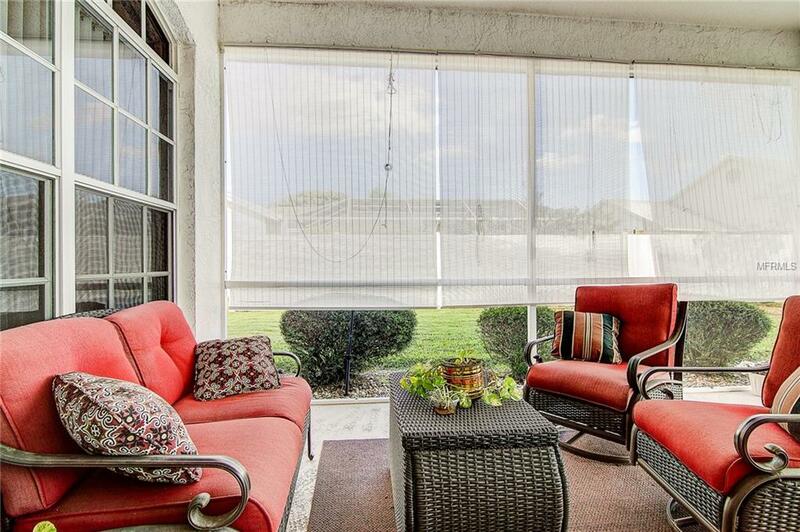 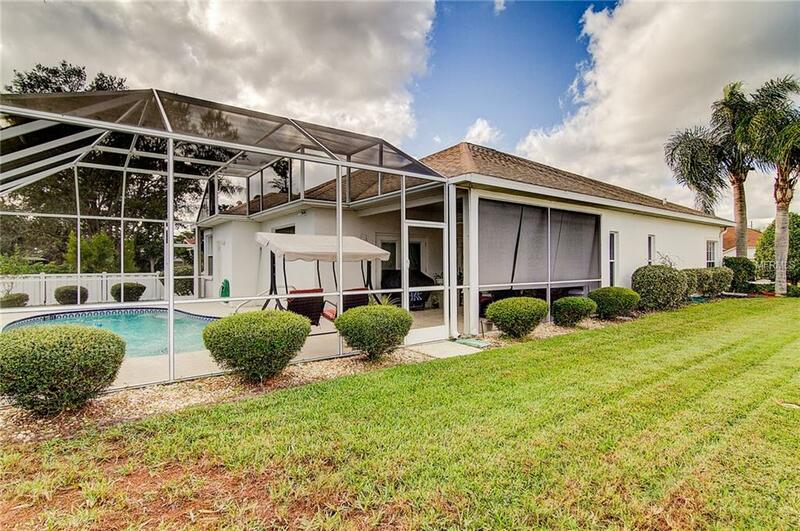 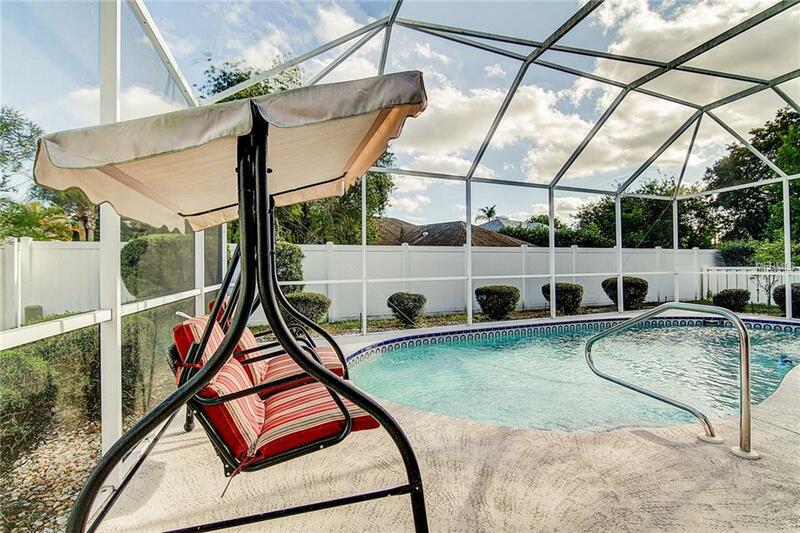 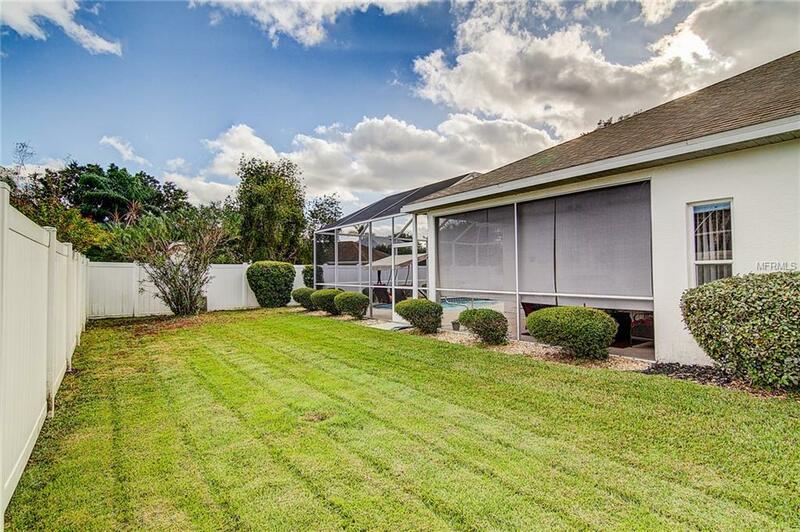 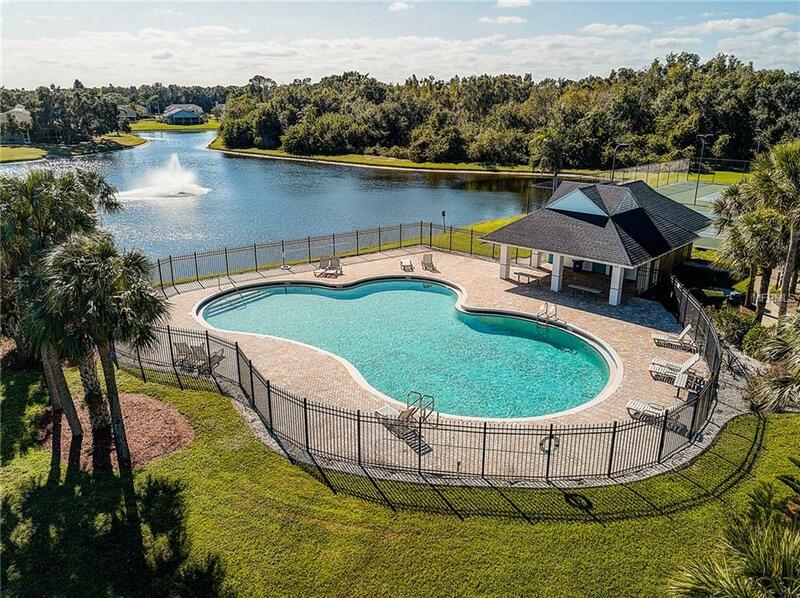 Enjoy Florida on your sizable lanai or unwind in the sparkling pool. 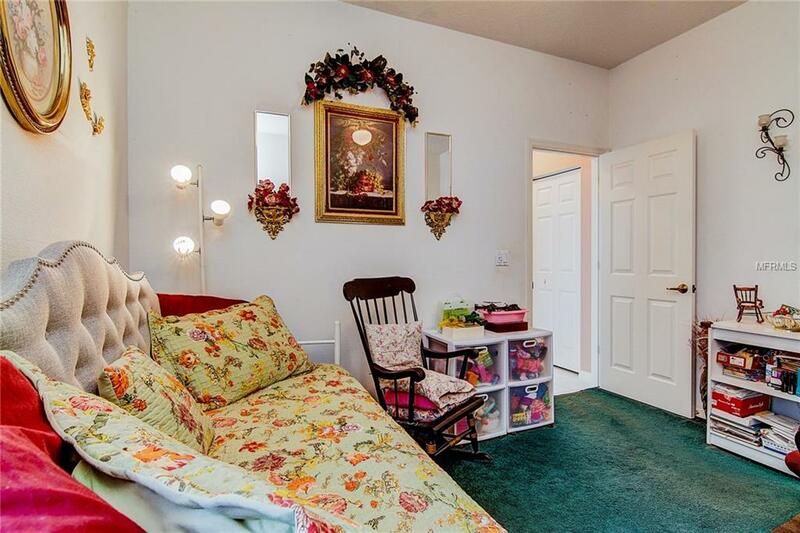 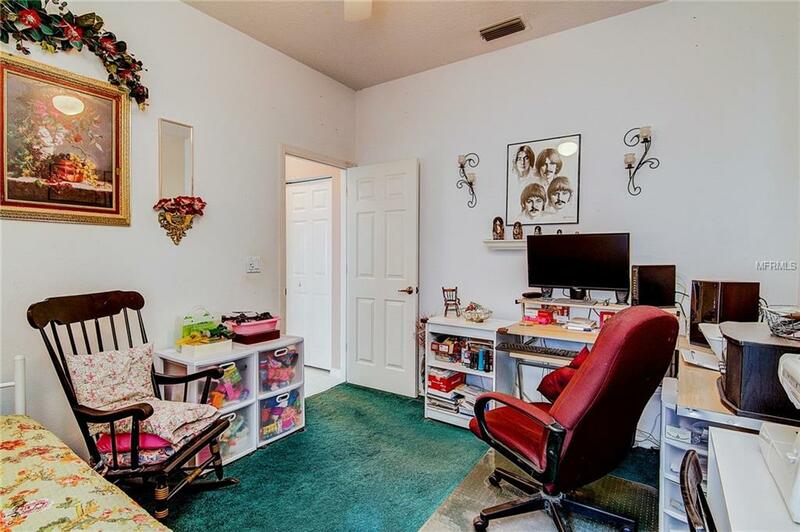 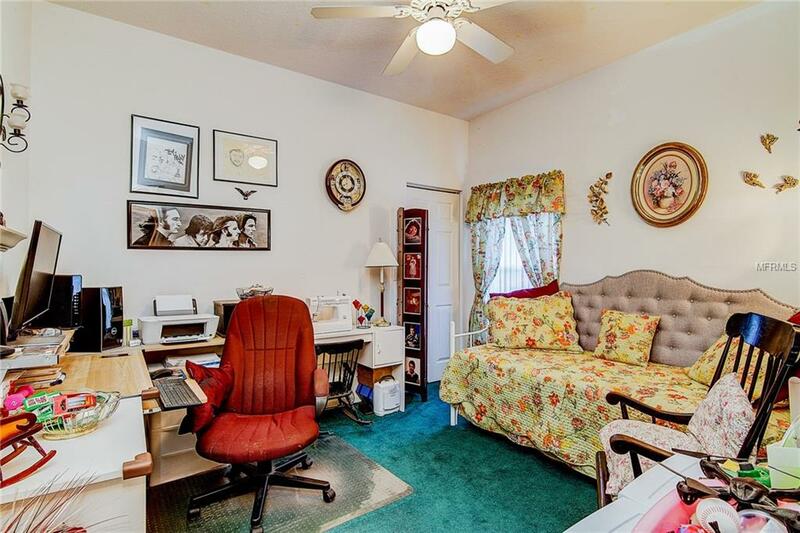 The separate bonus room located off the garage is perfect as a private workshop or office. 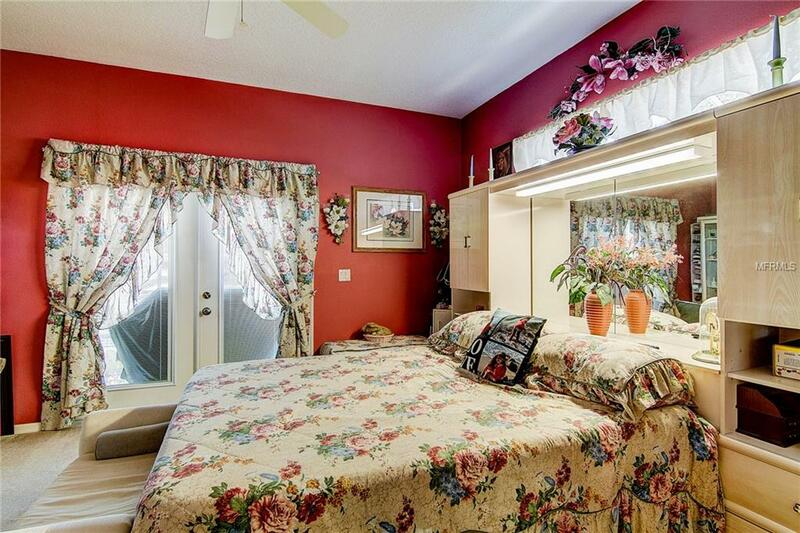 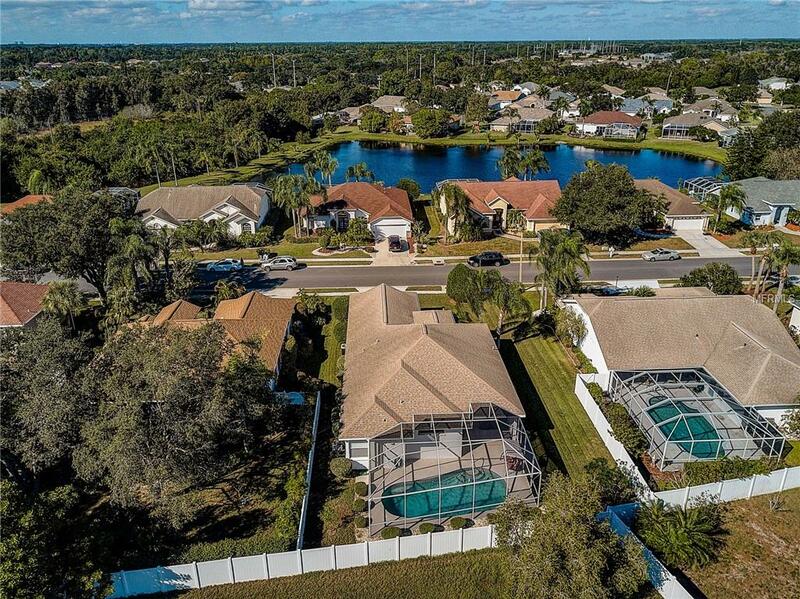 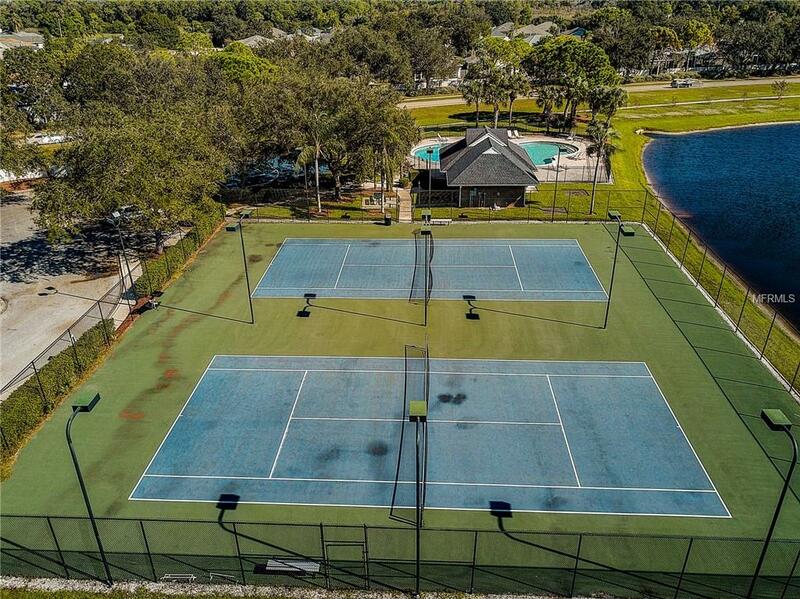 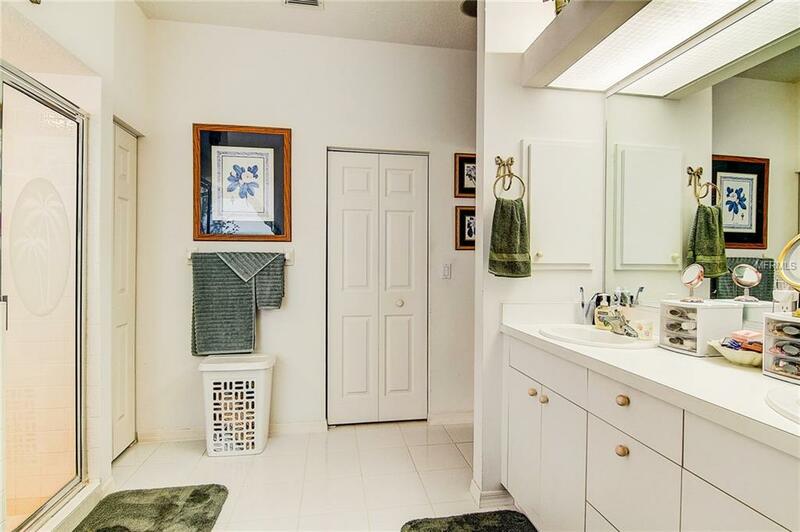 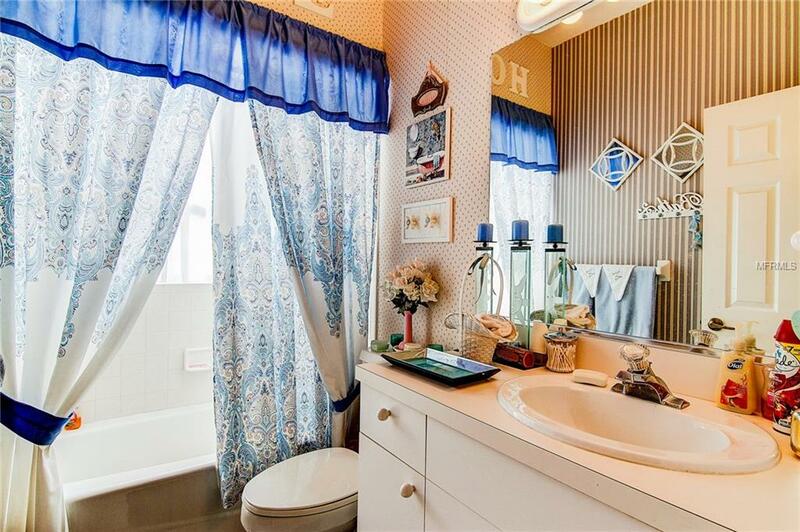 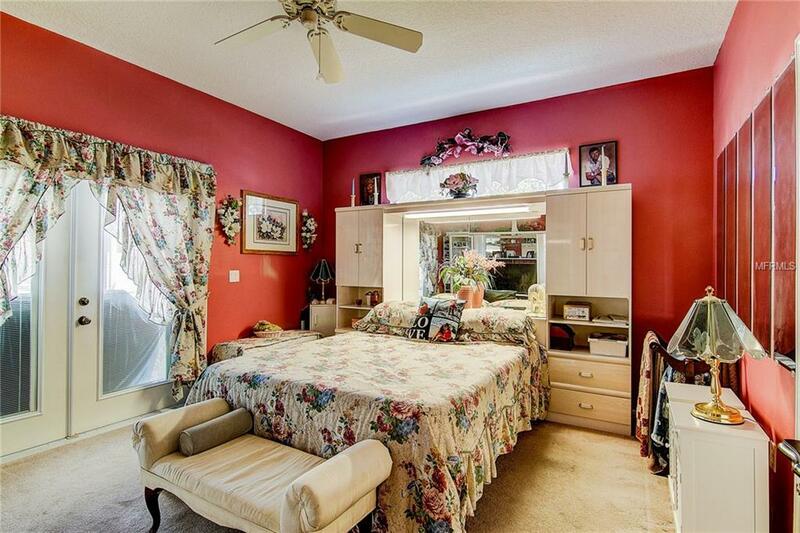 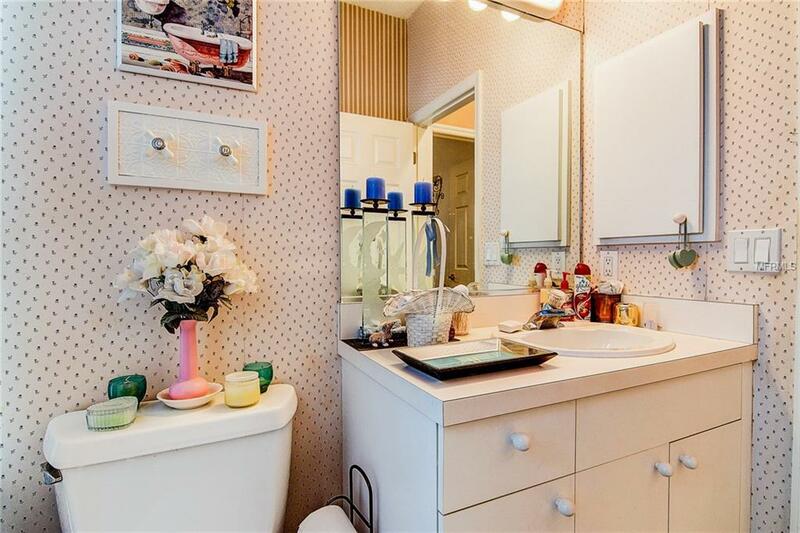 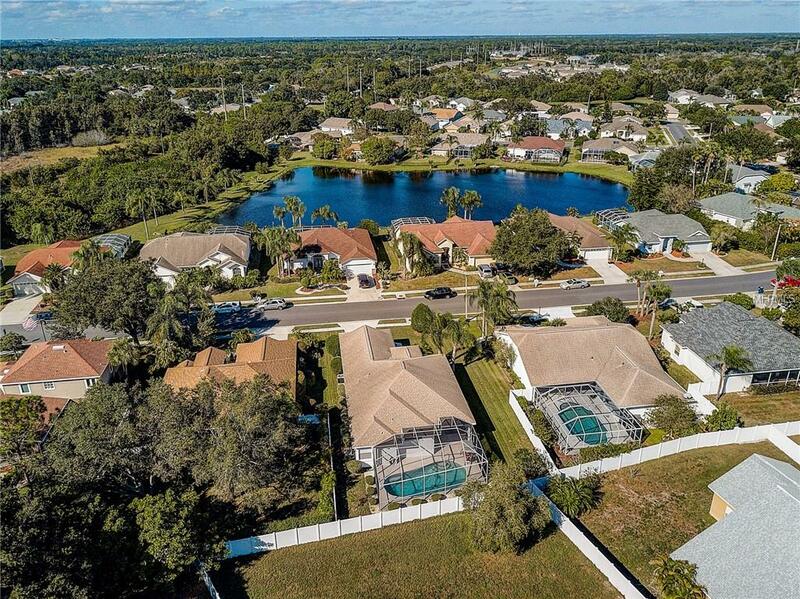 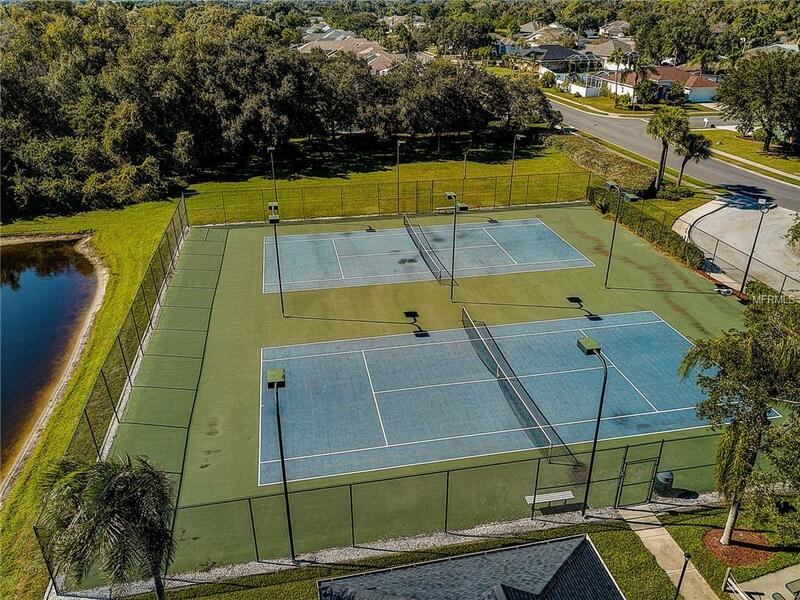 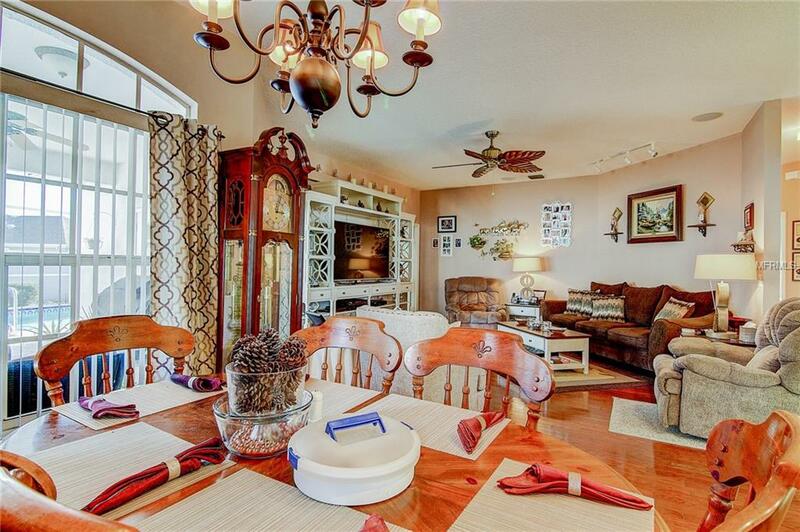 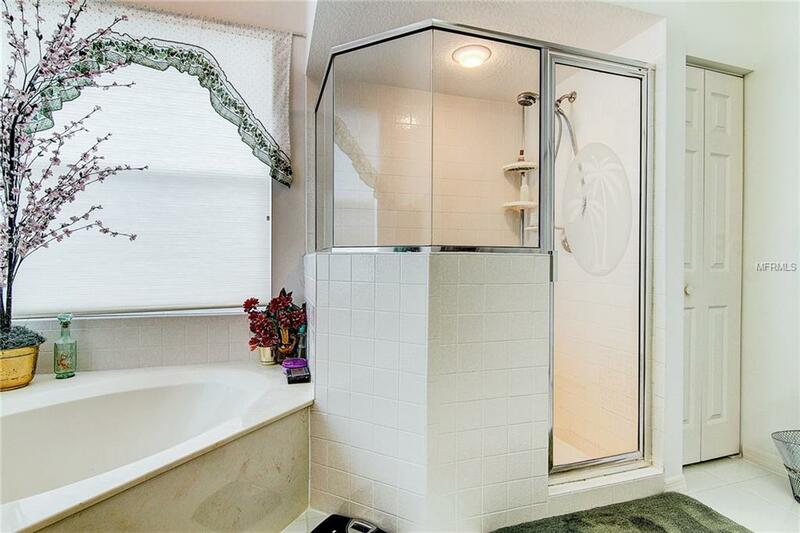 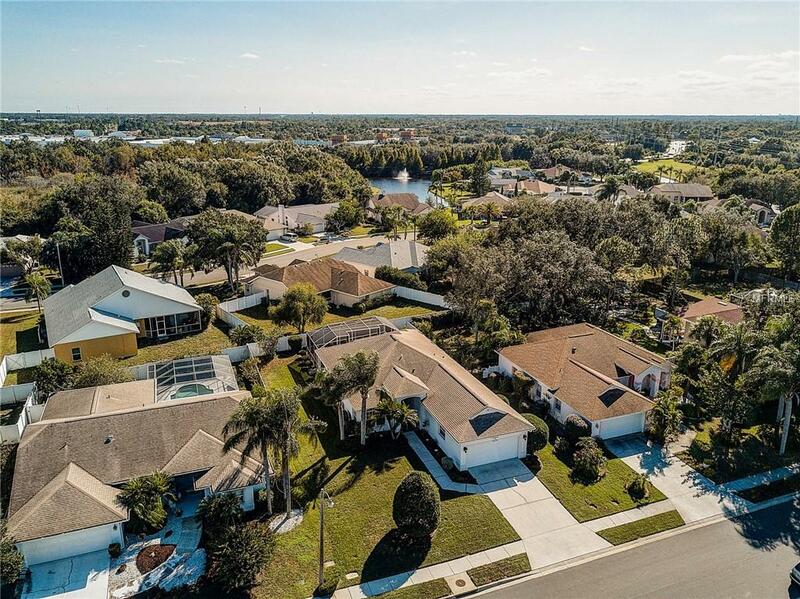 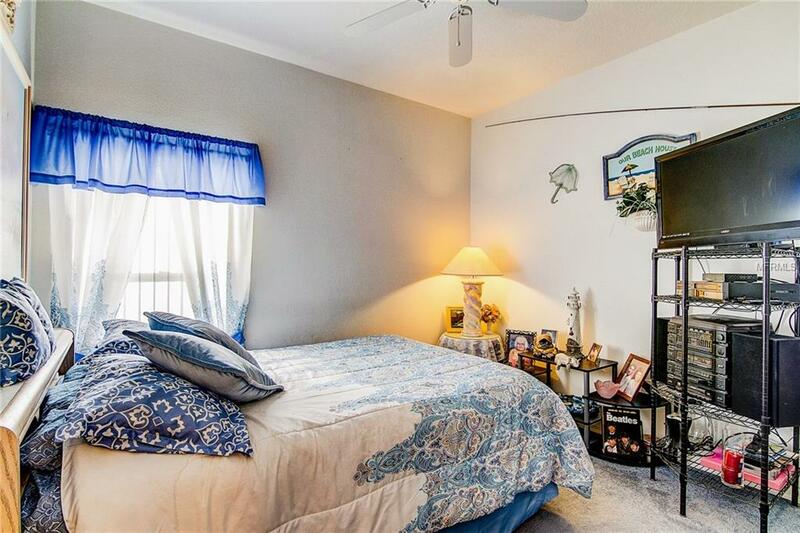 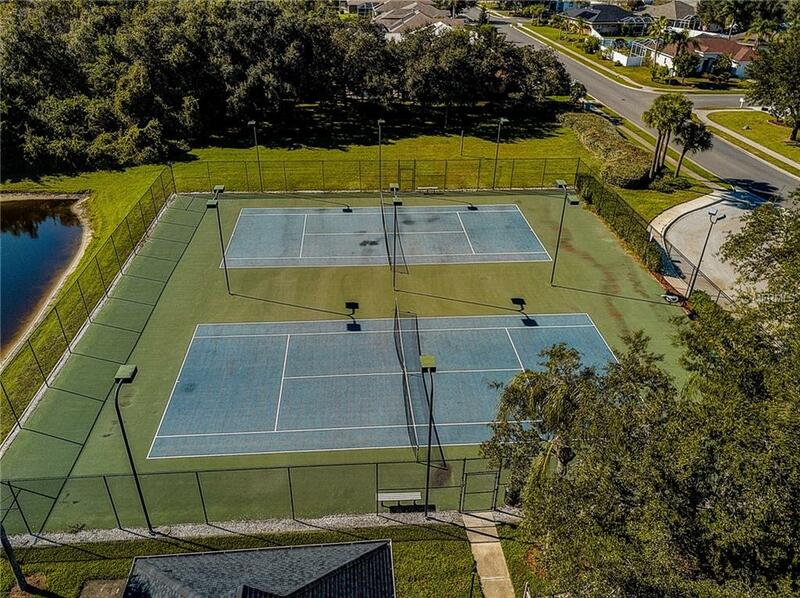 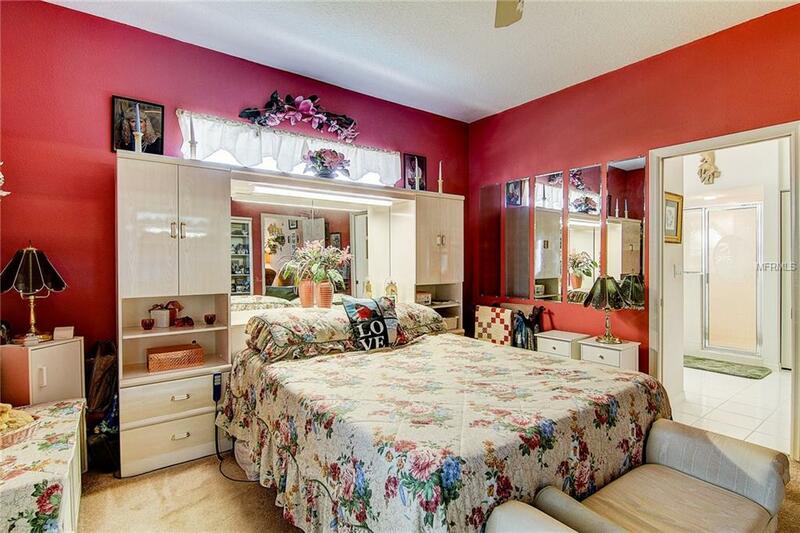 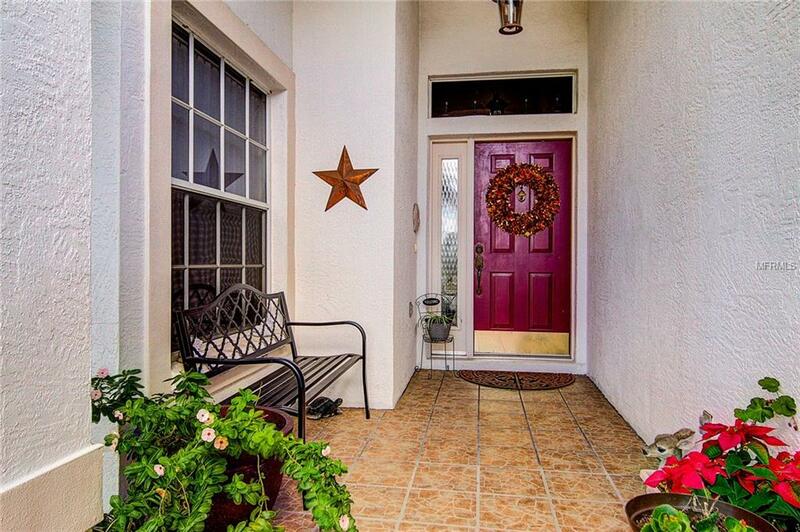 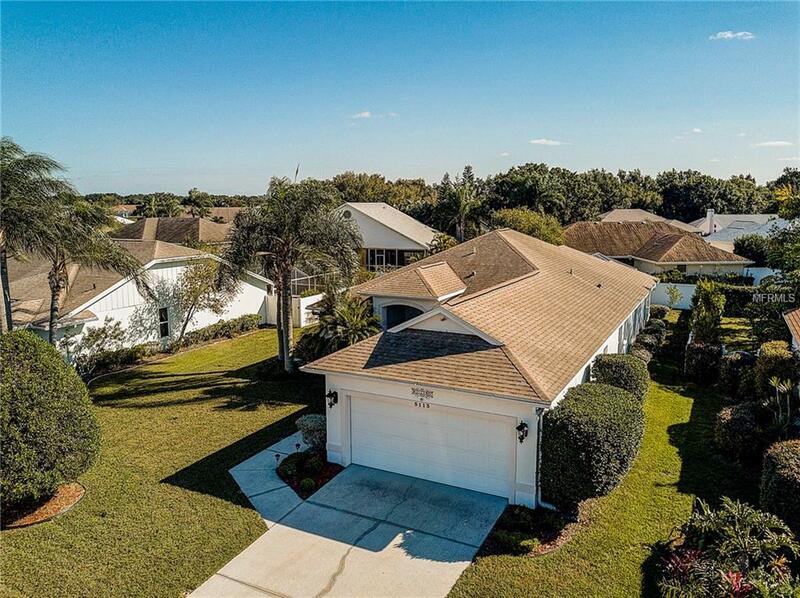 This Community packs in the amenities including a swimming pool, playground and tennis courts.